A Stinger missile was one item on the alleged Mexican drug cartel conspirators? shopping list, according to court documents. Washington (CNN) -- Three people have been charged with trying to buy a Stinger missile and other military weapons for a Mexican drug cartel, according to an indictment unsealed last week in Phoenix. The government says the plot was foiled because the people the alleged conspirators were dealing with were federal undercover agents and a government informant. "The object of the conspiracy was to obtain and possess military-grade weaponry, and to then export and transfer that weaponry to the Republic of Mexico, and supply that weaponry to a Mexican drug trafficking organization," says the indictment filed in U.S. District Court in Phoenix. 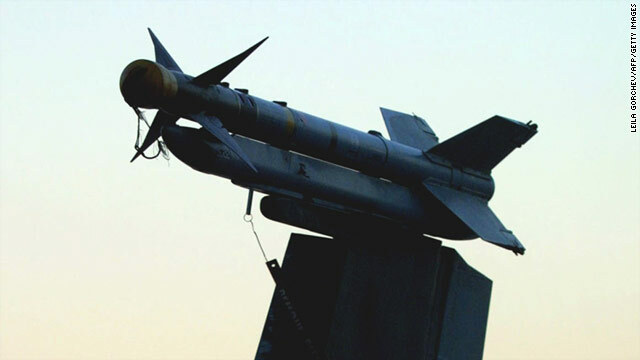 The three defendants named in the indictment are David Diaz-Sosa, Jorge De Jesus-Castenada and Emilia Palomina-Robles.The charges against them include conspiracy to acquire and export an anti-aircraft missile, conspiracy to possess unregistered firearms and transfer firearms for use in a drug trafficking crime. Court documents say the alleged conspirators' shopping list included: a Stinger surface-to-air-missile at a negotiated price of $200,000; a Dragon fire anti-tank weapon for a cost of $100,000; a Law Rocket anti-tank weapon for $20,000; and two AT-4 recoilless anti-tank guns for $20,000. The indictment says the defendants were to pay with some cash and also with illegal drugs. According to the indictment, the conspiracy began in November 2009 with David Diaz-Sosa allegedly acting as the "primary broker" in trying to buy weapons on behalf of a man he identified only as Enrique LNU who worked for a cartel. Another court filing said that Diaz-Sosa had said the weapons were "destined for Yucatan, Mexico to be divided between Chapo Guzman, Mayo Zambada, and Demacio Lopez," alleged leaders of the Sinaloa drug cartel. The documents said that Enrique LNU wanted specific weapons that would "do the most damage." The court filings said the suspects were shown weapons or fakes but never bought actual arms. The defendants were arrested more than a year ago and have remained in custody. The court filings were sealed until last week. Prosecutors often ask that an indictment be sealed while trying to find and arrest other conspirators. Adrian Fontes, lawyer for defendant Emilia Palomina-Robles, told CNN it is highly unusual for a case to remain under seal for so long. "Were they trying to see if they could make the charges stick?" Fontes asked. "The government will have a tough time proving all the allegations." Fontes said his client had entered a not guilty plea. Calls to lawyers representing the other two defendants were not immediately returned. A spokesman for the U.S. Attorney's Office said the investigation in this case is continuing. The three defendants are scheduled to go on trial April 19.